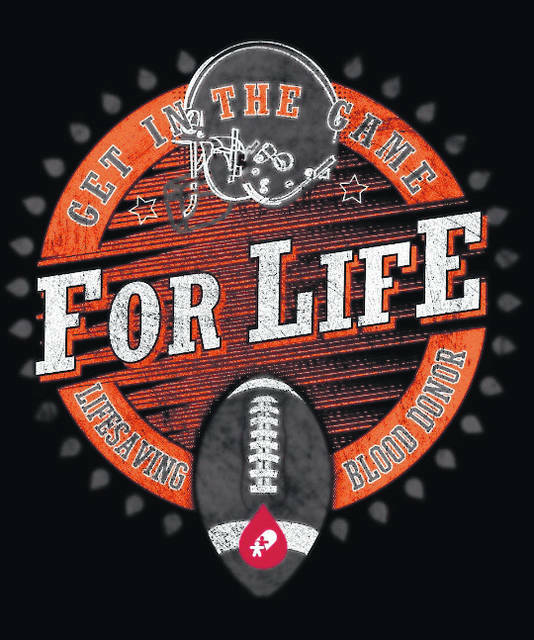 Everyone who registers to donate at the St. Matthew Lutheran Church community blood drive will receive the “Get in the Game For Life” football t-shirt. HUBER HEIGHTS — St. Matthew Lutheran Church will host a community blood drive Saturday, Dec. 1 from 9 a.m. to 12 noon in the Fellowship Hall, 5566 Chambersburg Road, Huber Heights. Everyone who registers to donate will receive the “Get in the Game For Life” football t-shirt. Schedule an appointment online at www.DonorTime.com or call 1-800-388-GIVE. The “Get in the Game For Life – Lifesaving Blood Donor” campaign celebrates late November as a time late in the season when football championships are decided. The CBC football t-shirt honors blood donors as champions for saving lives. Donors are required to provide a photo ID that includes their full name. Past CBC donors are also asked to bring their CBC donor ID card. Donors must be at least 17 years of age (16 years old with parental consent: form available at www.givingblood.org or at CBC branch & blood drive locations), weigh a minimum of 110 pounds (you may have to weigh more, depending on your height), and be in good physical health. The Food and Drug Administration (FDA) changes blood donor eligibility guidelines periodically. Individuals with eligibility questions are invited to email canidonate@cbccts.org or call 1(800)388-GIVE. Make an appointment at www.DonorTime.com.